Here goes the last of my red white and blue desserts for the year! 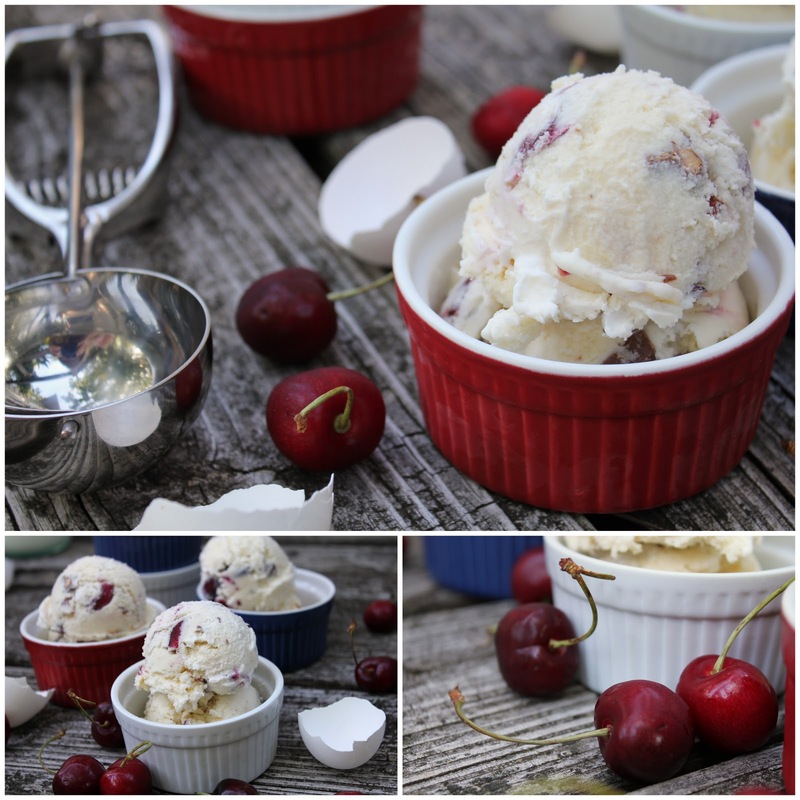 If you love Cherries Garcia, you're going to LOVE the cherry almond ice cream! It's a pretty decent replica. Sweet and creamy with chunks of bing cherries and chocolate! As seen on Photograzing! What a week! DC and the the Fourth of July....I'd love to tell you its awesome, but for those of us who live here it's a little hard to keep our routine amongst the miles and miles of tourists. Being in the US Capitol for the biggest day of American patriotism can be scary. Three hour long lines at the metro, crowded streets and strict security....oh such a joy for those of us who live here and think of the National Mall as a running track. So, if you can't beat them...join them!!! This weekend I'm heading to the Smithsonian Folk Life Festival, the Capitol Fourth Concert, and of course the fireworks on the National Mall. I'm very excited to count the fanny packs along the way. I'm not sure how they managed to survive all these years, but fanny packs are alive and well amongst DC tourists. I hope you have a wonderful Fourth of July weekend! Enjoy the fireworks and BBQs! In a stand mixer combine the eggs and sugar. Beat for one minute until light and fluffy. Gently mix in the cream and milk. Do not whip! If you prefer pink ice cream, also add in the cherries. I wanted white ice cream, so I withheld them and added them in layers when packaging the finished product. Pour ice cream into a suitable container (layered with cherries if preferred) and freeze until hardened fully. Enjoy! Happy Fourth to the USA!